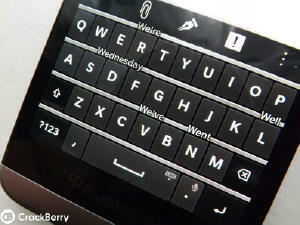 Typing or texting on the BlackBerry 10 OS is without doubt a lot easier than on other operating systems. The word prediction on the virtual keybord alows you to place predicted texts in your message quickly by an upward swipe action. By default, new BlackBerry 10 devices have the word prediction and spell check turned off. To enable spell check and word prediction on your BlackBerry device, follow the procedure below. Likewise, if you are looking to deactivate spell check on your bb phone, follow the guide below to the setttings area and turn it off instead. Turn on the features you wish to use: Spell check, Ignore acronyms, Ignore case, Ignore words with numbers. To disable spell check, just toggle spell check to off. Turn on Prredictions. To disable it, just turn it off.